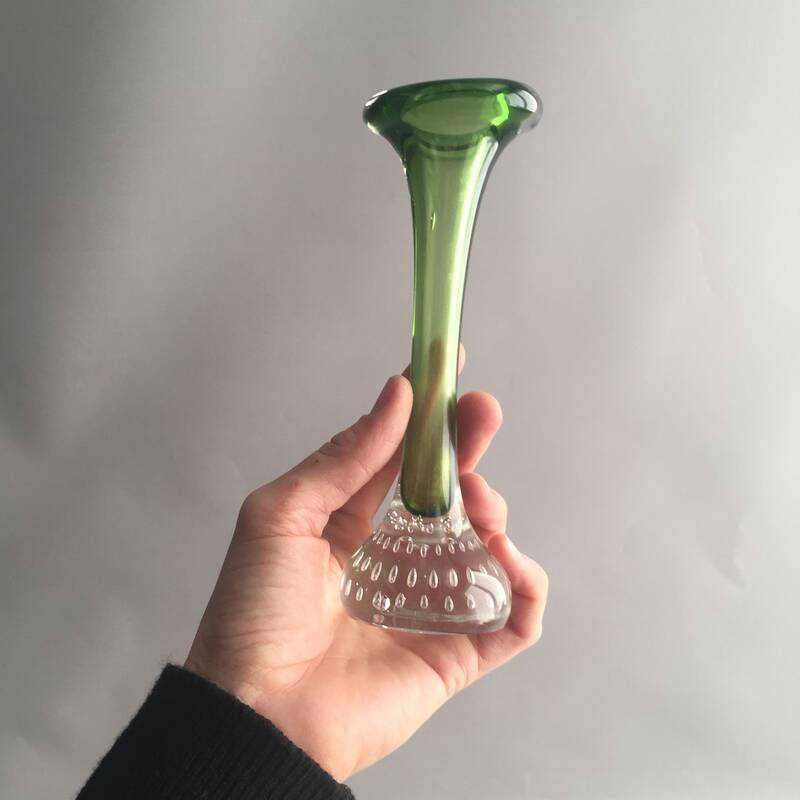 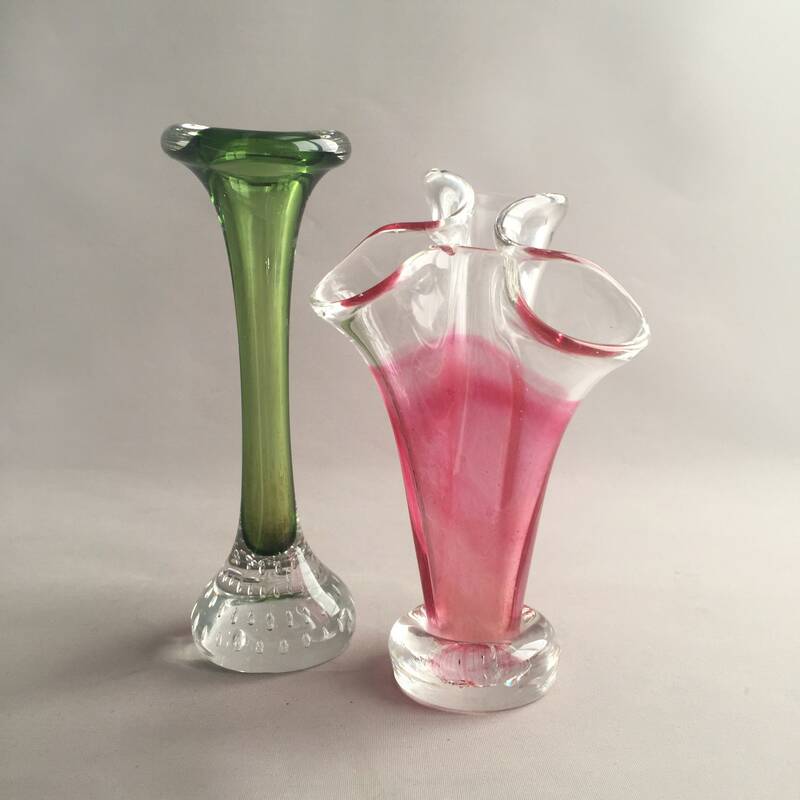 Vintage Murano Glass Stem Bud Vase. 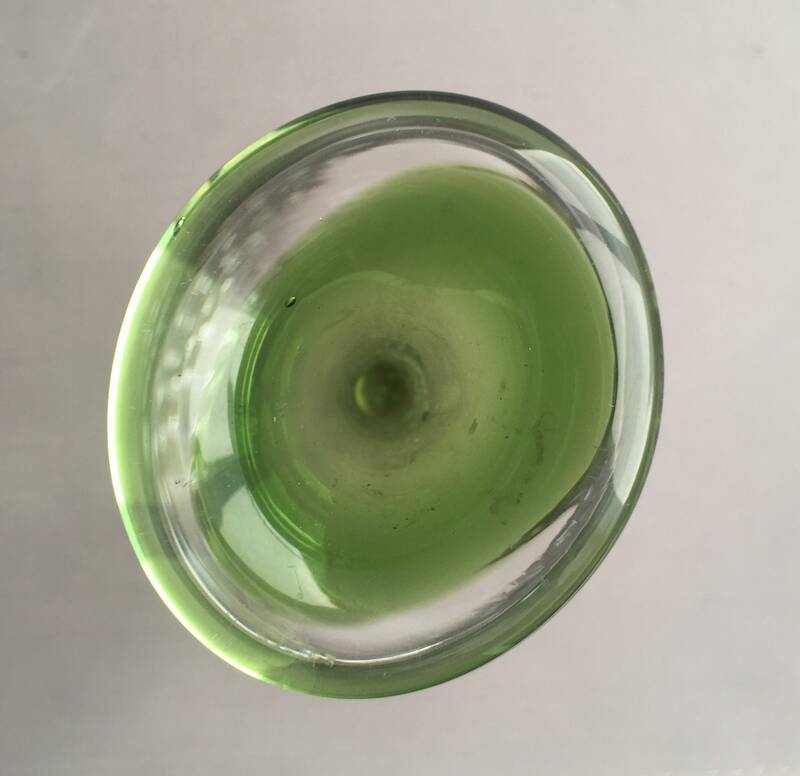 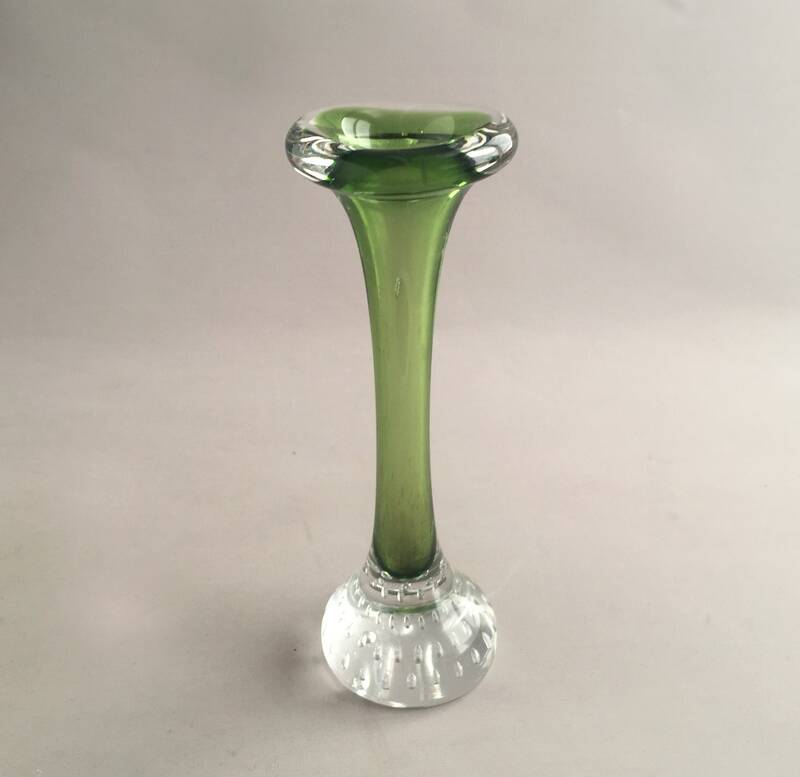 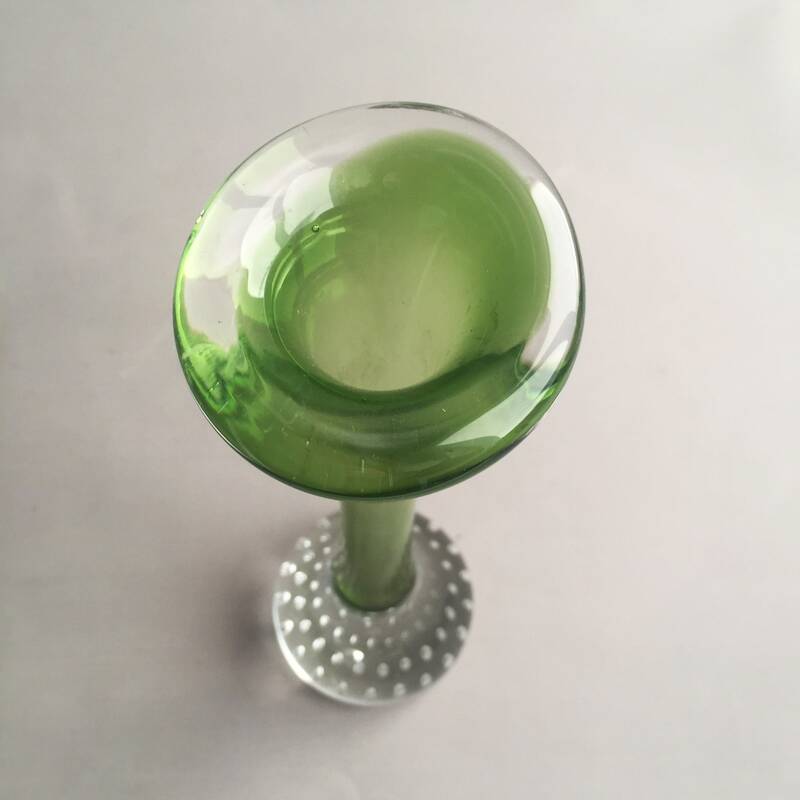 A green stem bud vase with a bubbled clear glass base. 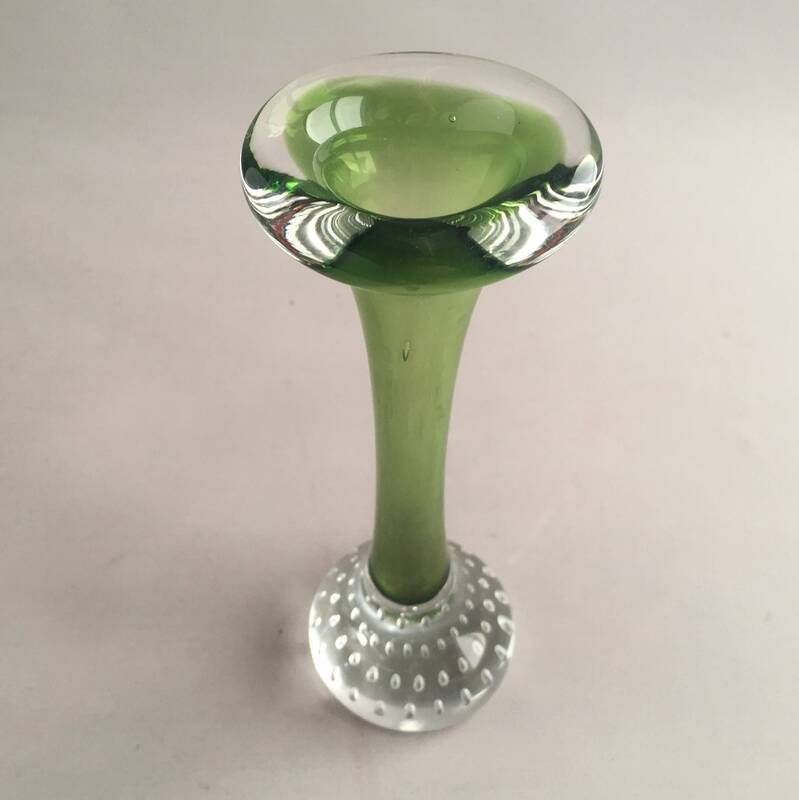 The narrow stem rises to a flared mouth, a funky piece of glassware for home. 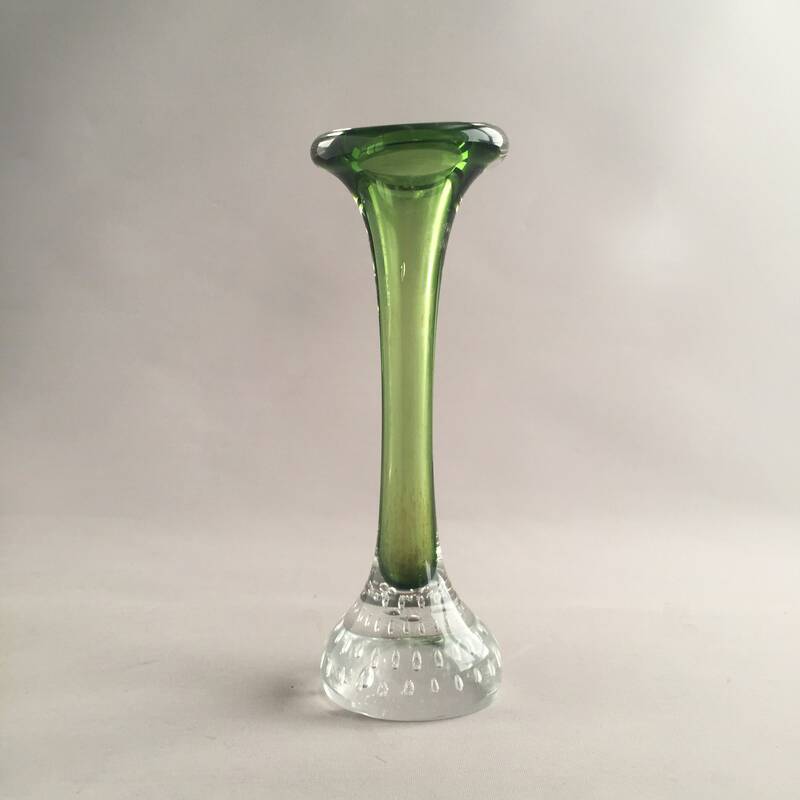 The vase stands at approx 18cm (7in) tall. 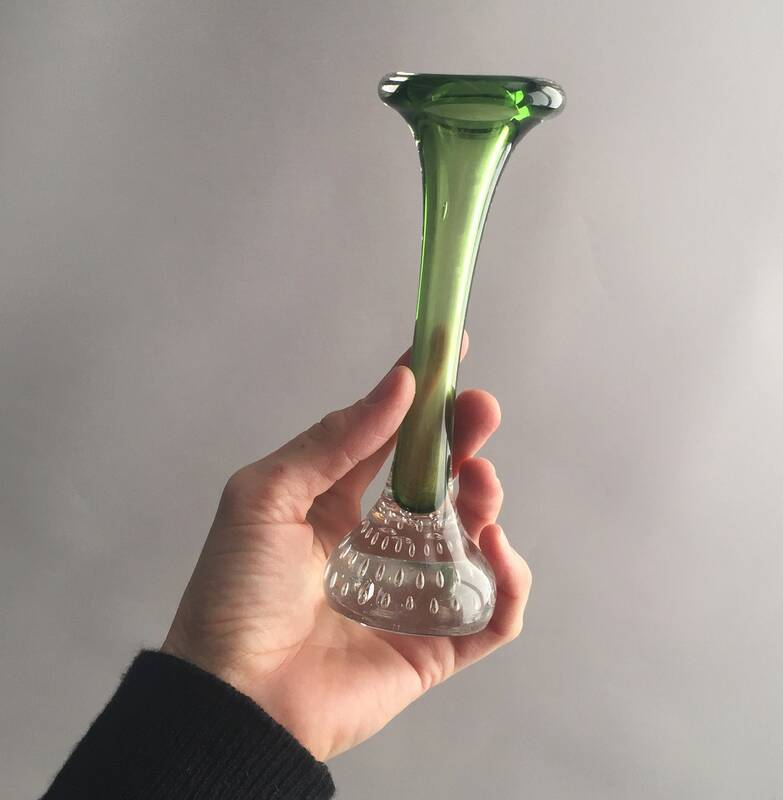 The base has the usual scratching to it from a piece of glass that has been around since the 1960's, but is otherwise in great condition with no cracks or chips.